In our modern environment, there are so many potential health hazards. Richmond, VA holistic dentist, Dr. Oliva Hart, believes you shouldn’t have to worry about toxicity from your teeth! 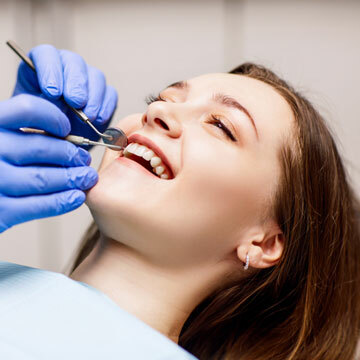 In keeping with her commitment to providing the safest level of oral care possible, she places dental fillings that are BPA free, and look beautifully natural. BPA is an acronym for bisphenol A. This family of building-block chemical compounds makes epoxy resins and polycarbonate plastics strong and durable. Many of these materials are used in food and beverage packaging, as well as hygiene products and toiletries. The chemical shape of BPA mimics the structure of the hormone estrogen. When BPA enters the human body, this trait allows it to bind to estrogen receptors, imitating that hormone’s function. It may also interact with other hormone receptors (such as thyroid), affecting their functioning. Today, most dental patients opt for composite resin fillings as a healthy and aesthetic alternative to mercury-laden, silver-colored amalgam. Are composite fillings toxic, though? Some tooth-colored fillings contain potentially harmful amounts of BPAs. Dr. Hart places only non-toxic dental fillings. This no BPA composite is a healthy choice for adult patients, and vitally important for children who are most susceptible to BPA risk. Composite filling materials used at Richmond Family Dentistry are strong and durable, suitable even for molars subject to a great deal of bite force. This technique is conservative, preserving more natural tooth structure than amalgam fillings since the restoration is bonded into place. Composites blend with natural dentition, resist staining and are non-reactive since the compound contains no metal. They are easy care, too – just brush and floss normally. Dr. Hart also offers other nontoxic dental filling alternatives, such as ceramic inlays and onlays, and porcelain and zirconia crowns. Contact Dr. Olivia Hart of Richmond Family Dentistry to make sure your smile gets BPA-free dental fillings. Click here to make an appointment now or call (804) 381-6238 to learn more.